Solutions for Afghanistan’s future may lie in our ability to look back at an era in its recent past when the nation was at peace. Here we are reminded of a time of open borders, a bustling economy, and a generous and welcoming people. Afghanistan was then a nation with a thriving intellectual community with free exchange of ideas, respectful of its rich cultural heritage and willing to embrace its ethnic diversity. 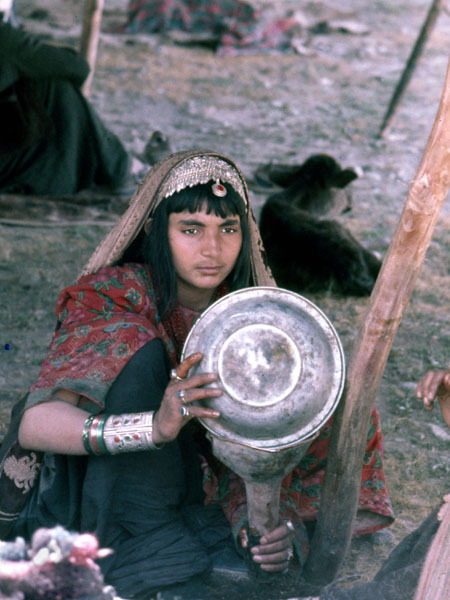 Photo: Nomad Maiden, 1971. Badakhshan Province Read more here.